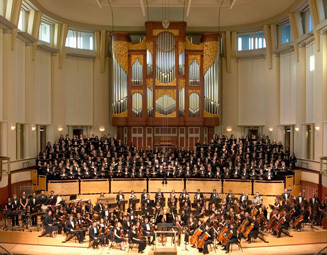 Emory University is known for demanding academics, outstanding undergraduate education in the arts and sciences, highly ranked professional schools and state-of-the-art research facilities. At Emory, students have four options for their undergraduate education. 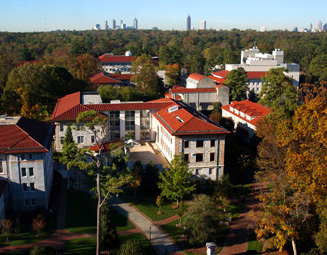 Entering freshman can apply to Emory College, which offers a liberal arts education within the heart of a major research university. Students also can apply to Oxford College where students spend the first two years on Emory’s original campus 38 miles east of Atlanta. 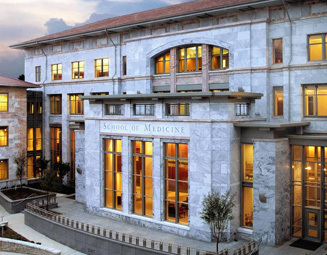 Students can choose from more than 70 majors in Emory College; they can also apply to the renowned Goizueta Business School to earn a bachelor of business administration, or the Nell Hodgson Woodruff School of Nursing, one of the nation’s top private nursing schools. At Emory we embrace the liberal arts philosophy that all knowledge is related. We believe that well-rounded knowledge and experiences are key to you reaching your full potential, both as an individual and as a member of society. The curriculum allows and encourages students to approach and apply subjects—from literature and physics to psychology—from a number of perspectives. Our students and faculty enjoy affiliations with and access to some of the most revered institutions in the world, including Yerkes National Primate Research Center, The Carter Center and the Centers for Disease Control and Prevention (CDC). Other unparalleled resources at Emory include seven libraries, and special collections including a civil rights collection and the Alice Walker papers. In total, the libraries and collections boast more than 3.5 million volumes. Our Michael C. Carlos Museum houses several impressive collections of antiquities. Emory's reputation attracts great speakers and visiting professors to our campus. Recently Emory students enjoyed the privilege of having His Holiness the Dalai Lama and Salman Rushdie join our campus community as presidential distinguished professor and writer-in-residence, respectively. International students—from more than fifty-four countries. Emory values diversity and is proud to count many international students among our community members. The undergraduate curriculum demands much in the way of oral and written communication from all students. Learning Programs provide a range of academic support and resources to enrich students’ educational experiences- from online study tips, to individual academic consultation, science mentoring and technology workshops. To ease the transition of individuals for whom English is a second language, Emory has created an English as a Second Language (ESL) academic support program. The program is designed to help students develop their English-language skills through listening, speaking, reading and writing, to the high level of proficiency needed to engage fully in their academic pursuits. Whatever a student needs academically, Emory offers a plethora of support that is easily accessible and shows the university’s commitment to educating students. Living on campus is the best way to become an integral part of the Emory community and to forge friendships that inspire you during your time here and beyond. First-year students live together in one geographic area at the center of campus; the majority of students live in Emory’s new Freshman Village in themed-LEED Certified residence halls. After your first year, there are a variety of housing options- from the Sophomore-Year Experience in the Woodruff Residential Center, to apartments on the Clairmont Campus, Greek-Life housing and themed housing (such as the Asbury House or the Center for International Living), students are able connect with friends and experience life together. The Admission Committee will put the most emphasis on your high school curriculum and grades. We understand the availability of honors, AP and IB courses varies from school to school. Within the context of your school, we will expect that you have taken a solid load of the most challenging courses available. Most competitive students will have a B+/A- average or better within a rigorous course of study. The Admission Committee notes with interest how you spent your time beyond the classroom. We look for leadership and/or commitment in extracurricular activities. We seek active students who will contribute to our dynamic community, students who will bring to our campus many different backgrounds, experiences, interests, opinions and talents. SAT I and/or ACT scores are very important but are not the deciding factors. Strong grades in rigorous courses may cause the committee to overlook below average standardized test scores, but high board scores will never make up for an applicant’s weak course selection or grades. We read essays and short answer responses closely. These writing samples are your best opportunity to communicate who you are, what you enjoy, what issues interest you and what arouses your curiosity. You must submit one recommendation from a high school counselor. You may submit up to two additional recommendations from such people as teachers, advisers, employers, coaches, or religious leaders. You should choose recommenders who know you well, who know your academic strengths and who can tell us about your character. To receive a visa to enter the United States, most students will receive a Form 1-20 or DS2019. Subject to visa requirements, an international student may not enter the United States unless the visa entry has been made in the passport. You should advise the University if your country will permit you to leave only on a “J”-type visa. At this time, we do not offer need-based aid to international students. International students are required to submit a financial verification form in the admission process. Emory does offer merit-based aid through the Emory Scholars and Goizueta Scholars programs. The scholars programs are extremely competitive; we usually receive 2,500 nominations for about 150 awards. These range from $10,000/year to full cost. Students who are awarded these scholarships typically have earned excellent grades, and their standardized test scores fall in our upper twenty-fifth percentile range. These students also demonstrate an emphasis on involvement outside school. Students must be nominated by their high school for this award. The deadline for Emory Scholars is November 15. As can be said of life in general, a fulfilling and rewarding college experience is one that balances work and play. 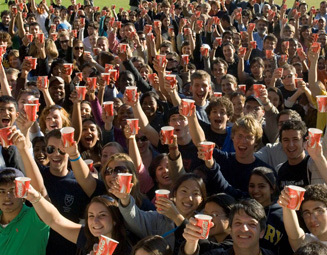 At Emory we know you’ll be the best student and the best person you can be because you are sure to find that balance. Our students take learning seriously but also have the time for many rewarding extracurricular pursuits as leaders of clubs and organizations (of which there are over 220), as members of the community providing service, and as athletes, all while engaging in opportunities provided by the city of Atlanta. Our campus environment and our approach to student life is one that nourishes the interests you bring to Emory and fosters the spirited discovery of new ones, both academic and extracurricular.